A fantastic review of The Winter Garden from Katie Meyer. Thank you! =) Made my day! The thing I like most about Kara Jorgensen’s writing is that it engages me and keeps me thinking while I read. Her second novel, The Winter Garden, introduces readers to new characters, while keeping some from her first novel, around. 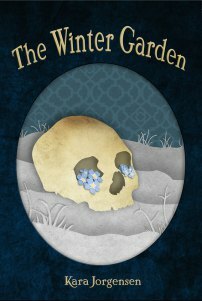 The Winter Garden also stands out because the main characters are not mainstream – they are gay and the novel accurately highlights their struggles to be happy, all the while staying true to her promise of layering science with fiction and creating a truly fantastic steampunk novel.